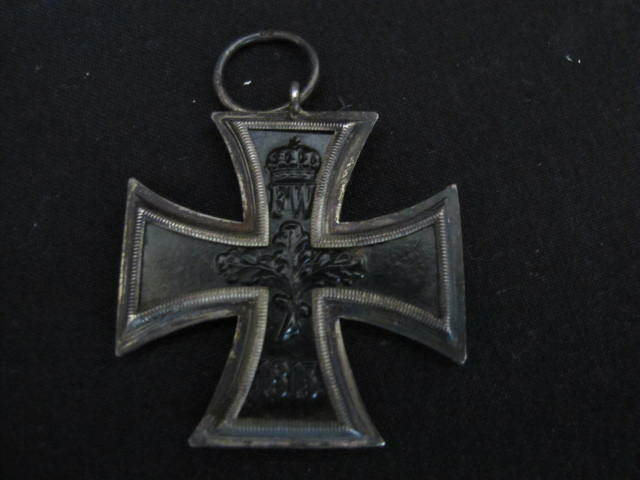 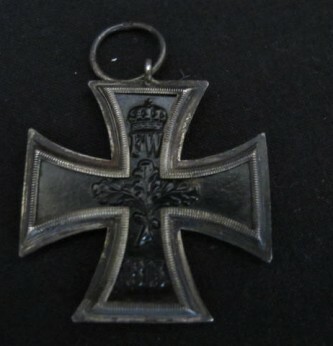 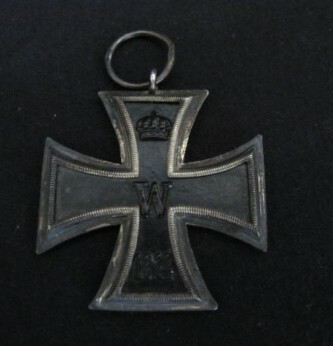 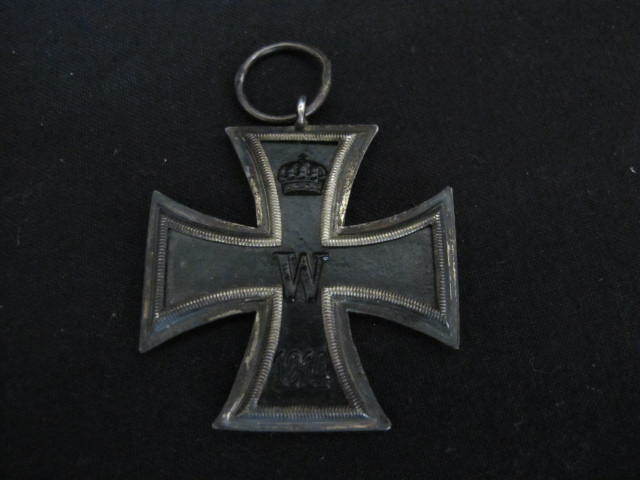 Imperial German Iron Cross 2nd Class. 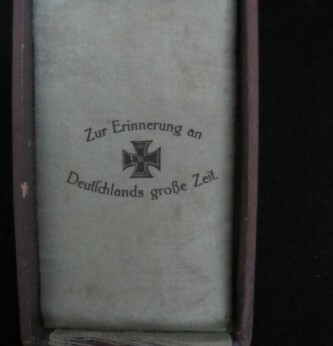 Nicely toned silver example with ring maker marked HB. 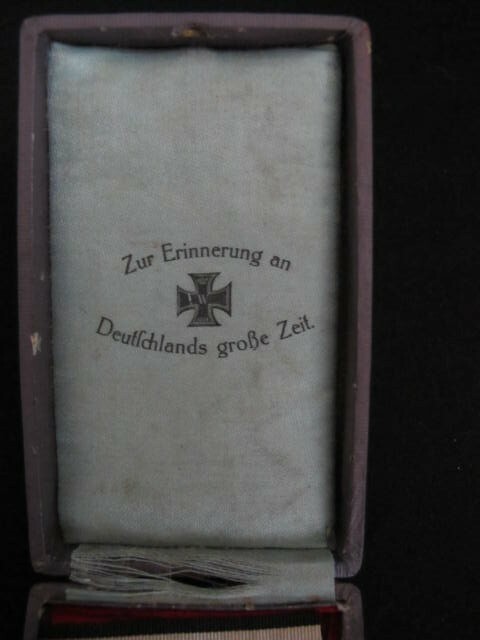 Complete with length of ribbon and contained in original presentation box of issue. 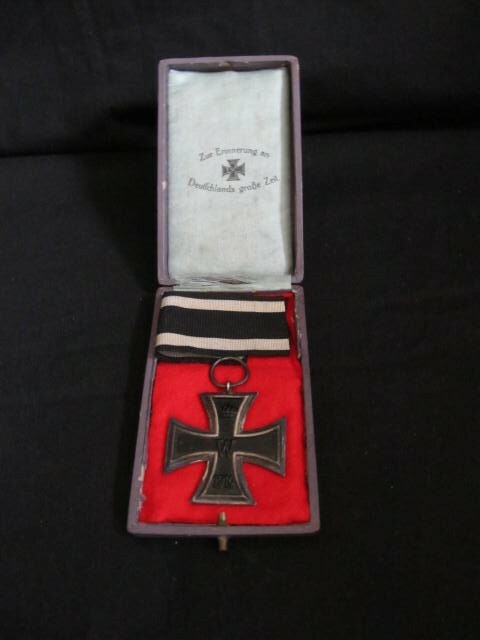 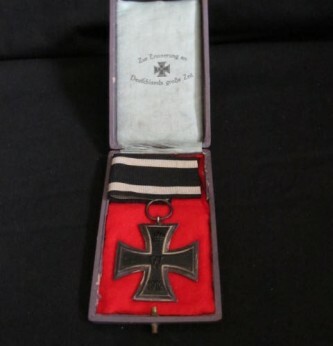 These presentation Iron Crosses were often given at the front for acts of bravery by the Kaiser and high ranking Generals to front line troops.